Life is good in our part of the world. The weather has taken a cold turn but we have still managed to soak up some sun in the afternoons with a few visits to the beach and park. We were worried Finley hated sand but he seems to have taken a liking to it now and has been enjoying digging and crawling along the beach. We had a beautiful and busy Easter with just mum visiting this year. 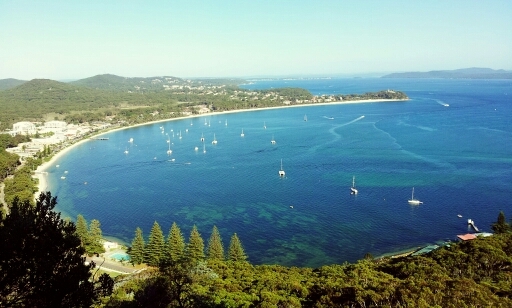 We hiked Mount Tomaree together, snorkelled Fly Point and went on a bike ride. We celebrated mums up coming birthday and remembered the reason for the season with some scripture study and a little Easter hunt for Finley. Finley is active and busy. He is getting more confident pulling himself to standing and you can just see he is desperate to take off and get into everything. He really is such a sweet little thing, we are noticing more of his personality coming out too. Whenever Levi is home he just doesn't want to be out of his arms, he loves you to be right there with him but doesn't necessarily want you to interrupt his play - it is very funny. We hope you are all doing well and had a wonderful Easter.